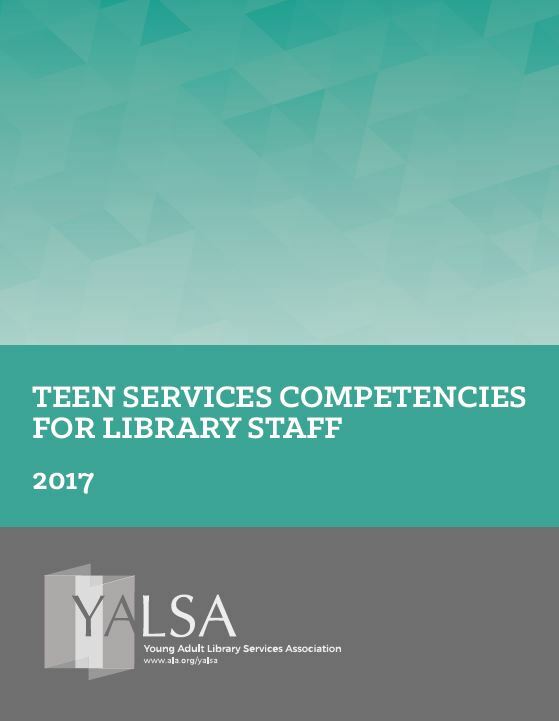 Each month, through December, YALSA is sponsoring free webinars (for members and non-members) on topics related to the Teen Services Competencies for Library Staff. The April webinar (the full video recording is available after the break) focused on Interactions with Teens. Megan Burton, Kitsap Regional Library (WA) and Valerie Tagoe, Wilmer Hutchins High School, facilitated a lively discussion about strategies for building relationships with teens. Megan and Valerie included a lot of very useful tips and first-hand accounts of challenges and successes in this work. YALSA will host a follow-up Twitter chat on interactions with teens on Thursday, April 26, at 7PM Eastern. Use the hashtag #yalsace to participate. The chat transcript and slides from the session are also available. Don’t forget to also check out YALSA’s Snack Breaks on topics related to Teen Growth and Development along with other resources related to the topic including the book, Putting Teens First in Library Services: A Roadmap. Tagged Competencies, Interactions with Teens, Relationships.